I’m not a fan of jean, I literally can count the number of pairs I own on one hand. 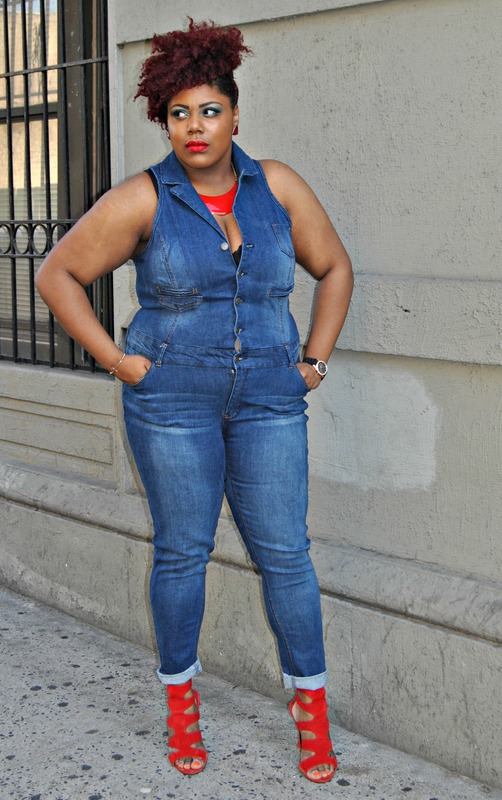 So why am I standing here in an all denim jumpsuit? Because its DARING! 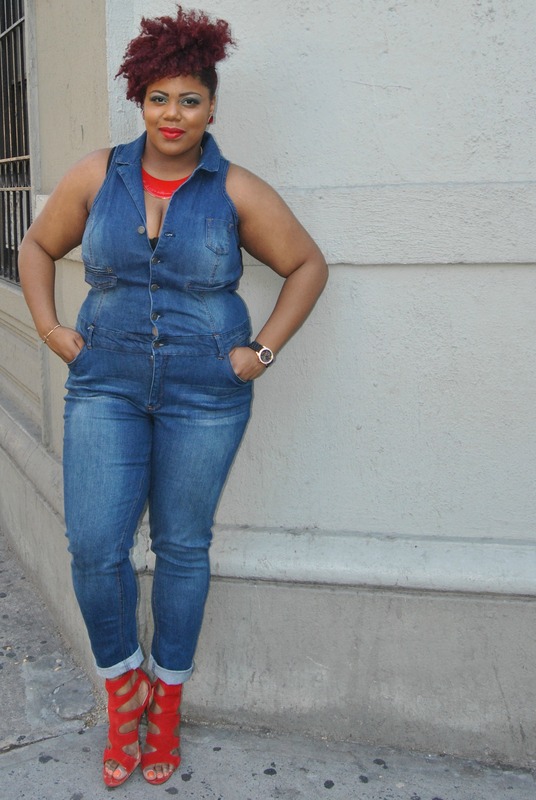 All denim, all the time. That’s the new approach that fashion is taking. 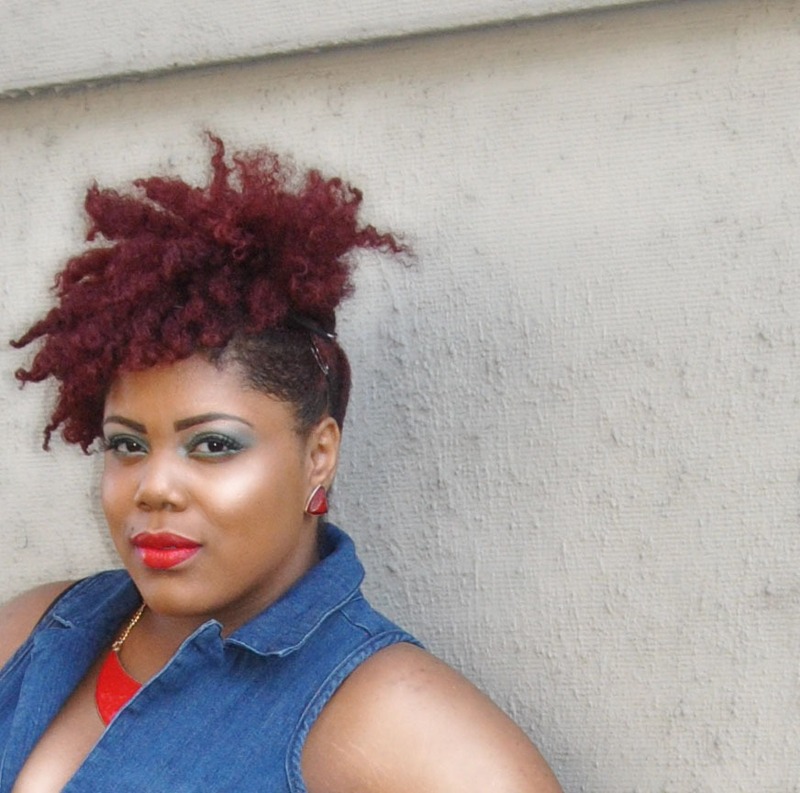 The trend of the 90s is back and more stylish than ever! Since then the look has taken a drastic 180! 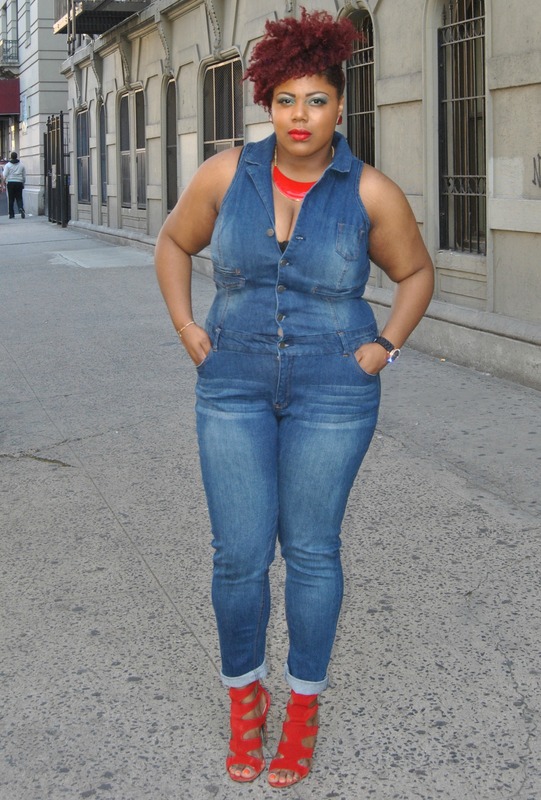 Denim on denim has recently exploded on the street style scene and has been spotted at Fashion Weeks ranging from New York to Milan. 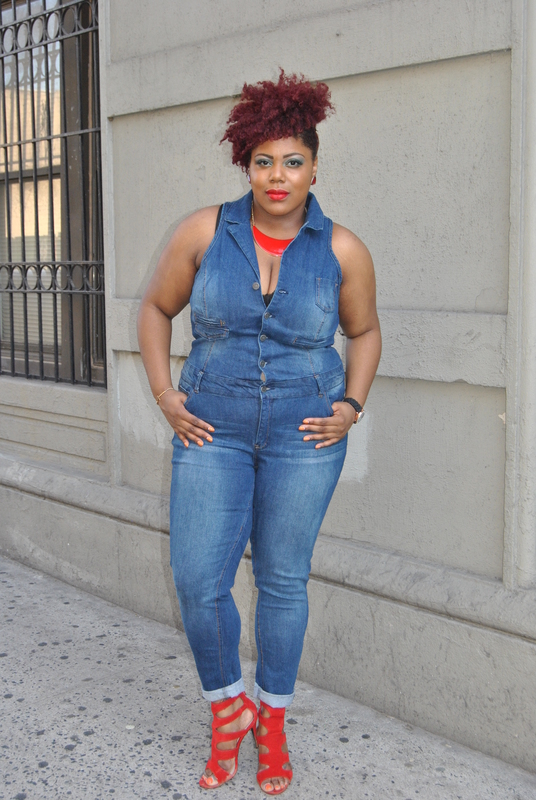 I remain hesitant to dress head-to-toe in one look, but this jumpsuit is just so right! 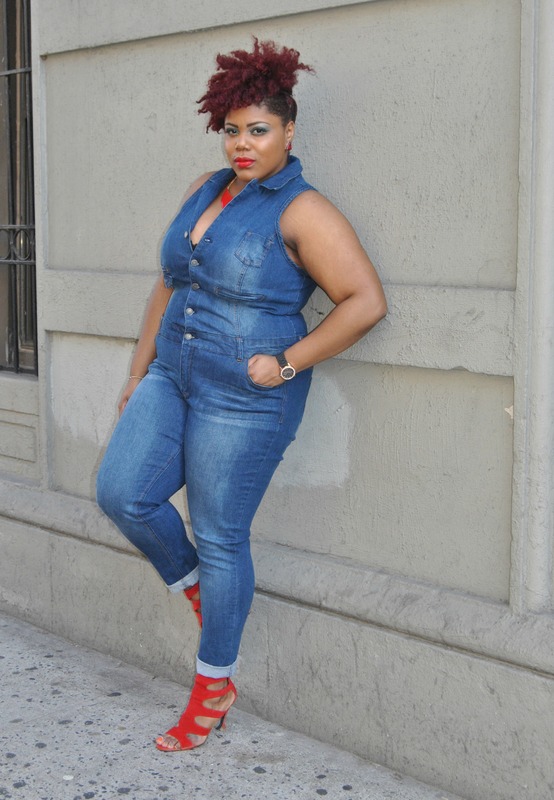 I styled my “Daring Denim” a bold red heeled sandal and statement necklace to match.